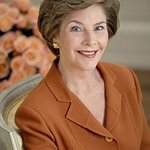 The Volunteer Center of North Texas will honor Laura Bush, former First Lady and wife of President George W. Bush, as the 2015 recipient of the Hearts of Texas Lifetime Achievement Award. Mrs. Bush will receive the award and give the keynote address as the honoree at the 9th Annual Hearts of Texas Luncheon on April 30, 2015 at the Belo Mansion in Dallas. Mrs. Gene Jones, 2014 honoree, will present the award to Mrs. Bush. Established in 2007, the Hearts of Texas Awards Luncheon is the Volunteer Center’s signature event. It showcases the importance of volunteerism in the community by recognizing outstanding leaders in North Texas. These inspirational volunteers have dedicated themselves to the community by giving their time, talents, and resources. 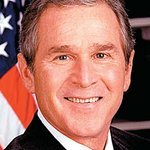 Mrs. Bush remains an advocate for educational issues, causes she championed as First Lady of Texas and the United States. She serves as Chair of the Women’s Initiative at the George W. Bush Institute, continuing her work on global healthcare innovations, empowering women in emerging democracies, education reform, and supporting the men and women who have served in America’s military. Sponsorships begin at $5,000, and individual tickets are available. Go to www.heartsoftexas.com or contact Charles Colmark (214-818-9837 or ccolmark@vcnt.org).